By the time you start designing displays, you've already invested extensively into your products and your brand. You need a partner who understands and respects intellectual property and works with you to develop unique solutions. Together, we can develop the best possible design for your product display that will deliver results for your brand. We know that the associated intellectual property — the patents, copyrights and trademarks — is crucial to the display industry. With dozens of mechanical and design patents under our own belt, we can anticipate pain points and proactively address any issues that may arise. Our partnership means collaborating closely with you to ensure the optimal design is chosen. Unprecedented issues of design, materials, timing and other aspects of manufacturing will always arise, and so you need to make sure you have a partnership that respects — and protects — your needs. This contribution and support to design helps vet the finished product and custom displays. You will emerge with a better finished product and have a stronger case to defend your intellectual property as well as assert your patent, as needed. There are instances where we may serve as the institutional memory for our customers. When a new project leader takes over, they may find us to be the most complete source to finish the job. We want to make that transition absolutely seamless. We don't take this role lightly, and we've built processes that lend themselves to it. Our nimble manufacturing set-up is contained in-house, which enables fast communication and rapid project management. This also keeps records centrally-located and readily available so we can confirm all aspects of your project when needed. Because we all speak the same internal language, less time is spent on communicating basics and handling team member turnover. Instead, we actively design and problem-solve alongside you. How can we partner with you on your next project? 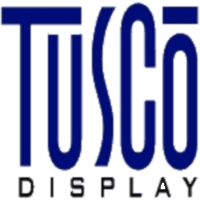 Contact Tusco online or call 740-263-6977 to talk with an expert.